Last August, Stephen and Rae Ann Gruver, a Georgia couple, sent their son Maxwell to LSU, where he pledged Phi Delta Theta fraternity. One month later, Max was dead, killed in a hazing episode. He had been forced to drink 190 proof alcohol in a fraternity exercise cynically titled "Bible study." According to the coroner, Max had massive amounts of alcohol in his system at the time of his death--more than six times the legal limit. Experts said he asphyxiated in his own vomit but probably died painlessly because he was unconscious when he passed away. Max's parents did what many parents do when they lose a child to a a senseless death; they threw themselves into a heroic effort to prevent others from dying the way their son did. In Max's honor, the Gruvers started an anti-hazing foundation, dedicated to raising public awareness about college hazing. They also distributed 30,000 silicon wristbands that say "Stop the Hazing." In addition, the Gruvers endorsed a law that will grant "medical amnesty" to anyone who reports acute alcohol poisoning as a medical emergency. And they are calling for more transparency about fraternity hazing. If they had known about Phi Delta Theta's history of hazing, the Gruvers say, they never would have allowed Max to pledge that group. LSU officials publicly support the Gruvers' efforts. I'm sure they were particularly pleased to hear the Gruvers' call for more transparency because "transparency" is a word college administrators dearly love. It rolls over the tongue so smoothly, like a single-malt scotch. And when college administrators use that word--and they use it often--they are never telling the truth. Already, LSU is equivocating about some of the Gruvers' demands. Ernie Ballard, a school spokesperson, pointed out the problems with amnesty. "Every university struggles with the balance of amnesty and penalties," Ballard explained. If too many conditions are attached to amnesty, students discount its value. On the other hand, "if the amnesty is too broad, habitual offenders may not be held accountable." LSU president F. King Alexander and Governor John Bel Edwards are talking about tougher penalties for fraternity hazing. But they are "concerned" that tougher sanctions might deter students from reporting bad behavior. Apparently then, hazing is a conundrum--requiring long and tedious deliberation. But here is the truth about fraternity hazing. More than forty states already have anti-hazing statutes, some of them dating back more than half a century. And many of these statutes contain amnesty or immunity provisions. And the Clery Act, passed more than 25 years ago, requires all colleges and universities to file annual reports of criminal activity, including assaults, as a condition of receiving federal funds. The Clery Act was put in place to ensure transparency on college campuses--the very thing the Gruvers are demanding. Nevertheless, in spite of anti-hazing statutes and the Clery Act, four college students died this year from hazing or criminally negligent drinking episodes. Hazing won't stop on college campuses until the hazers are sent to prison. 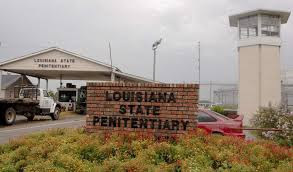 If one LSU fraternity boy were sent to Angola State Prison for pouring 190 proof alcohol down some poor kid's throat, LSU would have a lot less hazing. And hazing won't stop until the universities are held liable for damages when hazing occurs. LSU has anti-hazing policies on its books, and it is willing to deliver a slap on the wrist to fraternities when hazing is discovered. But how much more serious would LSU be about hazing if the Gruvers obtained a quarter-of-a-billion dollar judgment against it? A lot more serious, I warrant. The Gruver tragedy will soon be forgotten. A few months from now, the local district attorney will conclude he has more important things to do than prosecute college boys for hazing. A deal will be struck of some kind, and no one will go to jail. LSU or some of its wealthy supporters will make a generous donation to the Max Gruver Foundation, and the Gruvers won't sue. And next year, or two or three years from now, another college boy will die in his own vomit at a fraternity hazing exercise. And then we will hear another call for more transparency. Rebekah Allen. 'He would have done great things with his life.' 2017.The (Baton Rouge) Advocate, December 30, 2017. Rebekah Allen, Grace Toohey, and Emma Discher. 10 booked in LSU fraternity hazing death case. The (Baton Rouge) Advocate, October 12, 2017, p. 1. Lela Skene. 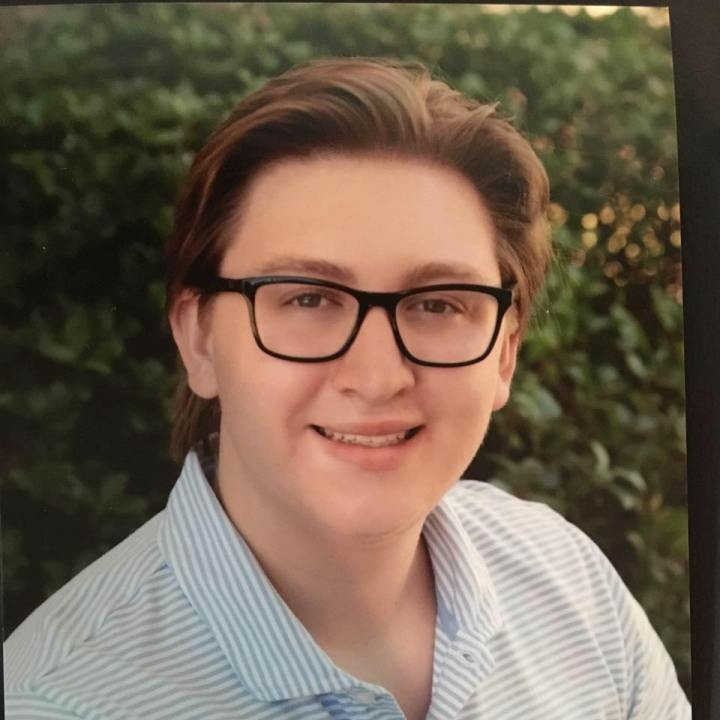 LSU fraternity pledge Maxwell Gruver's 'off the charts' blood-alcohol level shocks experts. The (Baton Rouge) Advocate, October 11, 2017. I live a couple of blocks from Louisiana State University, and I occasionally visit the campus book store. Or I should say I visit the Barnes & Noble book store that operates on the LSU campus. As I walked in a few days ago, I noticed a large stack of plastic water bottles, all bearing the LSU logo. How much does such a water bottle cost, I asked myself? I discovered there are two versions. The basic plastic water bottle is priced at $25 and the premium bottle costs 27 bucks. Actually, the premium bottle costs almost $30 because the buyer also pays a 10 percent sales tax. Thirty dollars for a plastic water bottle! The campus bookstore also has a coffee bar that sells Starbucks coffee for about four bucks a pop. Incidentally, the coffee bar is not owned by Starbucks so you can't use your Starbucks gift card there to buy your Starbucks coffee. But that's OK because most students have debit cards, which they whip out to pay for everything. And how are students paying for $30 water bottles and four-buck exotic coffee? With student loans, of course. But the expensive items at the Barnes & Noble bookstore are small beer. LSU recently completed a $85 million leisure project that includes a a 645-foot "lazy river" water feature shaped in the letters LSU. Mercilessly ridiculed for constructing this monstrosity, LSU officials solemnly defended the project. "I will put it up against any other collegiate recreational facility in the country when we are done because we will be the benchmark for the next level,"Laurie Braden, LSU's recreation director, said in 2015. I have no idea what that means. LSU's world-class spa is conveniently located near LSU's fraternity houses, but the frat boys apparently are not visiting it enough. Nine members of Phi Delta Theta were indicted this week on charges of hazing after Maxwell Gruver, a freshman from Georgia, died of "acute alcohol intoxication" while at a drinking party. Hazing is a crime in Louisiana, but the frat boys' lawyers insist that the drinking incident was not hazing. As a matter of fact, a fraternity member lured Gruver to the drinking site by directing him to report for "Bible study." And perhaps that is the proper description of an incident that left Gruver's system pickled with five times the legal amount of alcohol in his system. In any event, what's the big deal? According to experts, Gruver "probably slipped out of consciousness and died without pain . . ., as if under anesthesia." And no one was charged with murder because, hey, college boys will be college boys. Mr. Gruver's death will soon be forgotten. All that matters at LSU is football. LSU's stadium was expanded to seat 103,000 fans, including the high rollers who sit in air-conditioned executive suites and drink premium liquor while the plebeians sweat it out in the cheap seats. It means hot boudin, jambalaya, fried catfish, and more gumbo than you can eat. It’s thousands of smiling faces walking in between stately oaks and broad magnolias on a Saturday morning. It’s the sound of Tiger Stadium as you cheer on your team with 100,000 of your closest friends. It’s the traditions, tailgates, and everything else we love about Louisiana. Got it. So if I get maimed on Interstate 10 by an 18-wheeler, I'm going to hire Dudley DeBosier to sue the trucking company because--well, Dudley DeBosier is LSU's official injury law firm. Meanwhile, LSU is tearing down an old dorm and constructing new, more luxurious student housing. Some LSU officials feel that the students should live in at least as much splendor as Mike the Tiger--LSU's mascot, who resides in a "habitat" that looks like Club Med. LSU officials say they are only providing all these amenities because this is what today's students demand. And indeed, the student body voted to pay for the lazy river with student fees. From the students' perspective, I suppose, the cost of going to college is immaterial. 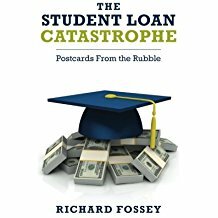 After all, everything is paid for with student loans; and if the costs go up, Uncle Sam and Wells Fargo are always there to loan students more money. Meanwhile, Mike the Tiger has his own private swimming pool. Alla Shaheed. LSU's 'lazy river' leisure project rolls on, despite school's budge woes. Fox News, May 17, 2015.